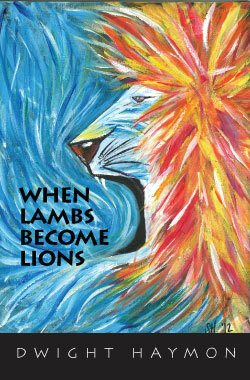 Dwight’s first book, When Lambs Become Lions, is now available! To order, please scroll to the bottom of this page. Jesus was the Lion that became the lamb so that lambs could become lions! of a God who transforms through His great love. ministering in His love and power. To order When Lambs Become Lions, please submit your shipping information below and complete your purchase via Paypal. Orders will not be processed without payment. After you click "Submit," you will be directed to the PayPal payment page.